The poll results for our Favorite Royals poll are in and I’ve finally gotten around to writing them up. In not-at-all-shocking news, the Swedes and Crown Princess Victoria won by a mile. The polls have closed and the votes are in! Thank you to everyone who participated in the 2015 review polls of Kate Middleton‘s dresses, coats, gowns, separates, and hats. There were some predictable outcomes in certain categories, especially for least favorite; and there were some surprises I was not predicting in some of the categories, though I’m happy to see some of my favorites near the top in some of them. The poll results are in! As voted by you, here are Kate Middleton‘s best dresses, coats, gowns, separates, and hats of 2014. 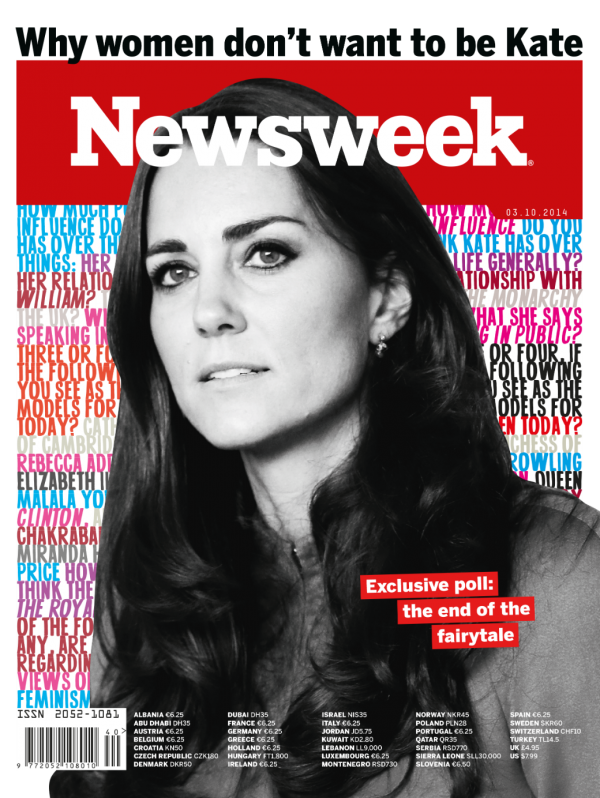 Kate Middleton covers Newsweek: poll results reveal ‘end of the fairytale’, but does Kate want an influential role? Kate Middleton covers the October 3 issue of Newsweek Europe and the article was released online titled “The Duchess of Cambridge: How Britain Stopped Believing in the Royal Fairytale”. There is an accompanying poll commissioned by Newsweek Europe and published by YouGov which details how a randomized sample of 3,000 British adults feel about Kate. The article uses the poll’s data to suggest that the fairytale attitude towards royal women has dissipated since Diana, which may be good for Kate and the monarchy in the long run. The article also suggests that Kate is hugely influential to the future of the royal family and to William and will basically be the “power behind the throne” and almost a “co-regent in all but name” because she’s the most intelligent royal and holds a lot of power over William and George.